Nikola Vucevic notches 24 points and grabs 16 boards as Orlando escapes with a win against Miami. Appeared in 46 games (43 starts) for the HEAT and averaged 15.8 points (.424 FG%, .646 FT%), 4.3 assists, 3.3 rebounds, 0.91 steals and 30.1 minutes…officially missed a total of 35 games due to injury and one as a DNP-CD in a game he dressed but was available only in an emergency…was named the Eastern Conference Player of the Week for the week ending Jan. 29…ranked 30th in the NBA in three-point field goal percentage…set single-season career highs in three-point field goal percentage (.395), rebounds per game, assists per game and minutes per game…finished third on the team in scoring average, three-point field goal percentage, 20-point games and 30-point games…topped the HEAT in scoring 12 times, in assists on 14 occasions, in steals 13 times, in minutes 12 times, in plus/minus eight times and in blocks four times…scored in double figures on 34 occasions, including 16 games with at least 20 points and a pair of 30-point performances…scored in double figures a season-high 18 consecutive games from Jan. 13-Mar. 1, one game shy of his career high…scored at least 20 points in four consecutive games from Mar. 6-12, tying his career high…recorded back-to-back 30-point games for the first time in his career when he tied his career high with 33 points vs. Milwaukee on Jan. 21 and matched it again with 33 vs. Golden State on Jan. 23…grabbed double-figure rebounds once and handed out double-figure assists once…posted a pair of double-doubles…in addition to matching his career highs in both points (33) and field goals made (13) vs. Golden State on Jan. 23, he hit a game-winning trey with six-tenths of a second left to break a tie and give the HEAT a three-point win…grabbed a season-high 10 rebounds at Houston on Feb. 15, matching his career high…scored his 4,000th career point on Jan. 19 vs. Dallas…played in his 300th career game on Nov. 17 vs. Milwaukee…Season Highs: 33 points (twice), 10 rebounds (at Houston, Feb. 15), 10 assists (at Atlanta, Feb. 24), three steals (three times), three blocks (at San Antonio, Nov. 14) and 42:22 minutes (vs. Sacramento, Nov. 1). Saw action in 78 games (15 starts) with the Oklahoma City Thunder and averaged 9.8 points (.399 FG%, .713 FT%), 2.6 rebounds, 2.0 assists, 1.04 steals and 27.6 minutes…missed four games due to personal reasons (Mar. 9-14)…set single-season career highs in defensive rebounds and total rebounds…finished second on the team in steals and third in three-point field goal percentage…topped the Thunder in scoring twice…scored in double figures on 34 occasions, including four games with at least 20 points…scored his 3,000th career point on Nov. 8 vs. Phoenix…Season Highs: 25 points (twice), seven rebounds (twice), six assists (at Utah, Nov. 23), four steals (twice), one block (15 times) and 42:31 minutes (at New York, Jan. 26). Split the season between the Cleveland Cavaliers and Oklahoma City Thunder and averaged 11.8 points (.396 FG%, .680 FT%), 2.4 rebounds, 2.0 assists, 1.13 steals and 27.6 minutes in 80 games (23 starts)…missed one game due to injury (Nov. 10 vs. New Orleans with a lower back contusion) and was a DNP-CD once (Jan. 5 at Philadelphia)…set single-season career highs in games played, minutes played, offensive rebounds, steals and blocks…scored in double figures 44 times, including 11 games with at least 20 points and one 30-point effort…grabbed double-figure rebounds once and posted one double-double…had a single-season career-high 25 multi-steal games…appeared in 33 games (three starts) with the Cavaliers and averaged 10.5 points (.404 FG%, .783 FT%), 2.2 assists, 1.7 rebounds, 1.33 steals and 23.8 minutes…topped the Cavs in scoring twice and also led the team in steals 12 times and in assists and blocks three times each…saw action in 47 games (20 starts) with Oklahoma City and averaged 12.7 points (.392 FG%, .625 FT%), 2.9 rebounds, 1.9 assists, 0.98 steals and 30.3 minutes…topped the Thunder in assists once…played in his 200th career game on Mar. 24 against the Lakers…matched his career high with 33 points at Minnesota in the season finale…grabbed a career-high 10 rebounds vs. Philadelphia on Mar. 4…Season Highs: 33 points (at Minnesota, Apr. 15), 10 rebounds (vs. Philadelphia, Mar. 4), eight assists (vs. Atlanta, Nov. 15), four steals (three times), two blocks (four times) and 40:52 minutes (vs. Orlando, Feb. 2). Appeared in 70 games (24 starts) for the Cavaliers and averaged 15.9 points (.433 FG%, .685 FT%), 3.0 assists, 2.8 rebounds and 29.6 minutes…missed a total of 12 games due to injury/illness…sat out a pair of games (Nov. 15-16) due to illness…missed three games (Dec. 20-23) with right wrist tendinitis…missed seven games (Feb. 19-Mar. 1) with a hyperextended left knee…set single-season career highs in points, scoring average, field goals made and attempted, field goal percentage, three-point field goals made and attempted, three-point field goal percentage, free throws made and attempted and assists…ranked second on the team in points, field goals made and attempted, three-point field goals made and attempted and scoring average and ranked third in free throws made and attempted, assists and steals…topped the Cavs in scoring 21 times, in steals 16 times, in assists on 11 occasions, in blocks seven times and in rebounds once…scored in double figures a career-high 55 times, including a career-high 24 games with at least 20 points and a career-high two 30-point efforts…scored 20-or-more points in a career-high four consecutive games from Mar. 20-25…was the highest scoring bench player in the Eastern Conference with averages of 14.7 points, 2.8 rebounds, 2.7 assists and 27.8 minutes in 46 games as a reserve…scored in double figures in 34 of his 46 appearances off the bench, including 13 games with at least 20 points…handed out double-figure assists once and posted one double-double…had a single-season career-high 26 multi-trey games…recorded his first career double-double and handed out a career-high 11 assists vs. Miami on Mar. 18…came off the bench to lead Team Hill in points (31) and assists (7) in 21:44 of action in the Rising Stars Challenge at All-Star Weekend in New Orleans…Season Highs: 30 points (twice), 11 assists (vs. Miami, Mar. 18), eight rebounds (twice), five steals (at Milwaukee, Apr. 11), three blocks (vs. Charlotte, Apr. 5) and 44:00 minutes (vs. Philadelphia, Nov. 9). Appeared in 61 games (48 starts) for the Cavaliers and averaged 14.7 points (.412 FG%, .746 FT%), 3.0 assists, 2.4 rebounds, 0.97 steals and 28.8 minutes…missed 20 games due to injury and one (Apr. 12) due to personal reasons…sat out eight games (Dec. 3-15) with a sprained left ankle…sat out two games (Mar. 4-6) due to illness…missed 10 games (Mar. 20-Apr. 9) due to a left knee injury…was selected to the NBA All-Rookie First Team…was named the NBA Eastern Conference Rookie of the Month for February…ranked among the NBA rookie leaders in scoring average (2nd), assists per game (4th), steals per game (4th) and minutes per game (4th)…made more field goals and free throws than any other Eastern Conference rookie despite missing 21 games…set single-season career highs in starts and free throw percentage…ranked second on the Cavs in scoring average, assists and field goals attempted and third in points, field goals made and free throws attempted...topped the team in scoring 20 times, in assists on 11 occasions and in steals and blocks nine times each…scored in double figures 45 times, including 14 games with at least 20 points and one 30-point performance…hit at least one three-point field goal in each of his first 13 games (Oct. 30-Nov. 24) to establish a career high for consecutive games with a trey and become one of only three players (joining Damian Lillard and Rudy Fernandez) in NBA history to start their career with at least one trey in 10-or-more consecutive games…in just his fourth career game (at the L.A. Clippers on Nov. 5) he shot 7-11 from three-point range and finished with 28 points, becoming the first player in NBA history to hit seven-or-more treys in one of his first six games and the first Cavs rookie with seven three--pointers in a game…tallied a career-high 33 points at Sacramento on Jan. 14 to become just the third rookie in Cavaliers history to score at least 30 points off the bench joining Mike Mitchell (32 points on Jan. 6, 1979) and Derek Andersen (30 points on Apr. 3, 1998)…started and made his NBA debut vs. Washington on Oct. 30 and tallied 17 points, a game-high three steals and two rebounds in 28:14 of action…participated in the Rising Stars Challenge at All-Star Weekend, tallying 23 points (11-12 FGs), three assists and one steal in 18:37 of action…Season Highs: 33 points (at Sacramento, Jan. 14), seven assists (five times), six rebounds (five times), four steals (at Memphis, Nov. 26), two blocks (twice) and 38:56 minutes (vs. Philadelphia, Nov. 21). 2016: Came off the bench in all 18 postseason games for the Thunder and averaged 8.4 points (.417 FG%, .667 FT%), 2.6 rebounds, 2.3 assists and 27.3 minutes…ranked second on the team in three-point field goal percentage and third in assists…scored in double figures eight times…averaged 11.0 points (.463 FG%, 1.000 FT%), 3.0 rebounds, 2.2 assists and 26.4 minutes in the five-game Opening Round series vs. Dallas…made his NBA postseason debut in Game 1 vs. Dallas on Apr. 16 and had five points, three assists, two rebounds and two steals in 27:54 of action…scored a postseason career-high 19 points in Game 3 at Dallas on Apr. 21…averaged 8.0 points (.447 FG%, .667 FT%), 2.0 rebounds, 1.8 assists and 23.3 minutes in the six-game Western Conference Semifinals series vs. San Antonio…averaged 6.9 points (.358 FG%, .375 FT%), 2.9 rebounds, 2.9 assists and 31.3 minutes in the seven-game Western Conference Finals series vs. Golden State. 2016-17: Was named the Eastern Conference Player of the Week for the week ending Jan. 29…2013-14: Participated in the Rising Stars Challenge at All-Star Weekend in New Orleans…2012-13: Was named to the NBA All-Rookie First Team…was named the Eastern Conference Rookie of the Month for February…played in the Rising Stars Challenge at All-Star Weekend in Houston. Played two seasons at Syracuse before becoming an early entry candidate for the 2012 NBA Draft…came off the bench in all 71 games in which he appeared and averaged 9.7 points, 2.0 assists, 1.9 rebounds, 1.48 steals and 20.4 minutes while shooting 45.3 percent from the floor, 34.8 percent from three-point range and 75.3 percent from the foul line…as a sophomore in 2011-12, he earned Third Team All-Big East honors and was named the Big East Sixth Man of the Year…was also named to the Big East All-Tournament Team…helped lead the Orangemen to a 34-3 record in 2011-12 and the NCAA Tournament East Regional Finals…appeared in all 37 games as a sophomore and averaged 12.6 points (.476 FG%, .729 FT%), 2.5 assists, 2.3 rebounds, 1.81 steals and 24.1 minutes…led the Orange in field goals made and steals, ranked second in scoring and third in assists…scored a career-high 28 points and hit a career-high seven three-point field goals on Mar. 9, 2012 vs. Cincinnati in the Big East Tournament…saw action in 34 of Syracuse’s 35 games as a freshman in 2010-11 and averaged 6.6 points (.411 FG%, .813 FT%), 1.6 rebounds, 1.5 assists, 1.12 steals and 16.3 minutes. 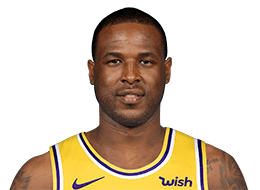 Is the son of Dion Waiters Sr. and Monique Brown…has a son (Dion Rhamik Waiters) and a daughter (Dior Waiters)…played basketball at Syracuse with his cousin Scoop Jardine…majored in communication and rhetorical studies at Syracuse…is currently in the process of establishing the Dion Waiters Foundation, a non-profit, whose focus will be to help end teen violence in Philadelphia, a subject which holds a special meaning to him after he lost his younger brother to gun violence in 2016…the goal of his foundation will be to encourage students to believe in themselves and achieve their dreams…the initiative will teach the youth to set goals and achieve them, to beat the odds and reach their fullest potential…hosts an annual Back to School Giveaway in his hometown of Philadelphia where he distributes backpacks filled with school supplies and clothing and also provides free haircuts to more than 300 kids in low-income communities…during Thanksgiving he goes into underserved communities through Philadelphia and gives away turkeys to families…also hosts several clothing and food drives for those in need…hosts a free youth basketball camp in Philadelphia during the off-season for boys between the ages of 8-13 and over 200 kids attend to receive instruction from professional players, coaches and trainers…recently donated $10,000 dollars toward the renovation of the playground at E.M. Stanton Elementary School in Philadelphia where he first started playing the game of basketball…co-hosted the Dream Chasers Sports and Entertainment Summit in Philadelphia on Aug. 30, 2013, a one-day event at Temple University, that was created to help high school and college kids learn how to “chase their dreams”…his favorite sport other than basketball is football and he’s a fan of his hometown Philadelphia Eagles…was a fan of former 76ers guard Allen Iverson growing up…wears size 13 sneakers.